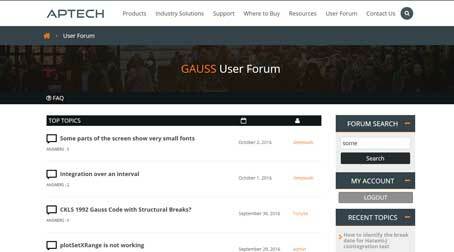 Install the latest revision of GAUSS. Some issues are resolved due to fixes and enhancements in the latest shipping revision. Contact info@aptech.com for login credentials if needed. Attach your files. Attach any relevant GAUSS programs, sample data files and screen shots of any error messages received. Provide the GAUSS Version and Revision Number you are running. Copy and paste the results displayed on the Help > About screen from within GAUSS OR attach a copy of your GAUSS license file to this submission.